A test for vitamin D that was once reserved for patients with unusual bone fracturing or those at risk for osteoporosis has now found popularity in doctor's offices alongside tests for cholesterol and thyroid hormone during routine bloodwork. Research has shown that vitamin D is an important nutrient for maintaining strong bones, aids in the movement of muscles and helps the immune system fight off disease. Although vitamin D is produced naturally when skin is exposed to sunlight, lives spent indoors mean that many Americans are vitamin D deficient. But as the popularity of testing grows, some scientists and regulators caution that vitamin D is difficult to measure accurately. In addition, no official standardization exists for vitamin D testing - a single blood sample sent to 10 different labs could return 10 different test results, said Dr. Gary Horowitz, director of clinical chemistry at Beth Israel Deaconess Medical Center in Boston. The federal government is moving to make the tests more reliable for the doctors and patients who choose to use them, but in the meantime experts say not to put too much stock in the test alone when determining treatment. "If your doctor thinks it's important to have the test, I would have it," said Christopher Sempos, coordinator for the federal Vitamin D Standardization Program. "But a lot of deciding how to treat an individual is more than just measuring the blood test. You have to trust the physician to use clinical judgment and not just rely solely on a clinical lab test." Two methods dominate vitamin D testing: commonly used immunoassays that use antibodies to detect vitamin D and an elaborate chromatographic method that separates vitamin D based on chemical properties. "Immunoassays ... allow laboratories relatively inexpensively and relatively simply to make these measurements," said Earle Holmes, professor of pathology and pharmacology at Loyola Medicine in Maywood, Ill. "On the other hand, the (liquid chromatography) method is a much more complicated method that requires more expertise and is a lot more expensive to operate." Both methods have strengths and weaknesses, but research has shown there can be discrepancies in the results. Difficulty arises in part because the vitamin D value that doctors use to judge whether a patient is deficient is based on levels of two chemicals added together. The chemicals stick to proteins in the blood and can be difficult to separate during testing, which may distort the results. "This is a time of great interest in vitamin D, and lots of new methods are going to come into the field," said Holmes, who is studying the performance of vitamin D tests in an ongoing effort to find the best one for his laboratory. "It is our responsibility to test everything to see if it meets our needs." Before marketing a new vitamin D immunoassay, manufacturers must receive FDA clearance by showing that the test performs as well or better than a previously approved test. Once a test is on the market, participating laboratories often voluntarily submit to proficiency testing by independent organizations that check how well their results compare to the average obtained with the same method. But neither of these efforts aims to find out how accurate a test is at measuring vitamin D. "If you want to see how close people are to the truth, get the true value and then compare routine methods to that," said Horowitz. 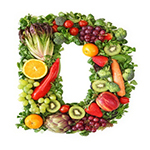 The Vitamin D Standardization Program, launched in 2010 as a joint initiative of the National Institutes of Health, the Centers for Disease Control and Prevention and the National Institute for Standards and Technology, aims to do just that. "The goal of the program is to standardize any method that's used to measure vitamin D, no matter how it's designed," said Sempos, program coordinator for the NIH Office of Dietary Supplements. The CDC started a similar standardization program for cholesterol testing during the 1950s that continues to verify laboratory tests to guarantee accurate and consistent results regardless of method. Although the vitamin D program is just under way, Horowitz says patients don't need to worry too much about the accuracy of test results. "The bad news is that the tests are inaccurate," said Horowitz. "The good news is that it doesn't really matter." In temperate zones, like the one spanning the northern half of the U.S., vitamin D deficiency is common because exposure to sunlight is limited. If you are healthy and live in one of these areas, Horowitz said, you probably don't need a vitamin D test to know you are deficient. "If we didn't make money by doing tests, I really don't know that vitamin D would make the cut," he said. "It's amazing in retrospect how many of these tests we do. Five years ago we didn't do this kind of volume. It's just the test du jour." Dr. Andrew Davis, an internal medicine physician at University of Chicago Medicine, said he orders immunoassay vitamin D tests for patients at high risk for osteoporosis and for health-conscious patients who request them. Although he supports the effort to standardize tests, in his practice he really only wants to know if a patient's results are exceptionally high or low. Davis used to suggest supplements to correct mild vitamin D deficiencies, but now he prefers natural approaches - eating foods like yogurt, sardines and kale that are rich in vitamin D.
Questions from concerned patients keep Davis on his toes as new information becomes available about vitamin D.
"This is the joy and also the challenge of medicine," he said. "That it is always changing."